Unstretch Canvas - Featuring amazing oil canvas art that stretches across multiple frames. 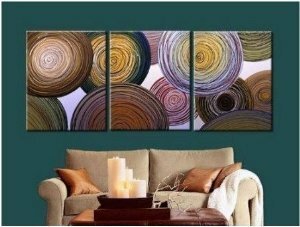 We find the unstretched art that we really love from Amazon and feature them in a simple easy to view format. Size: 16x24x3pics (Inch) total 3 pics. Oil Painting on Canvas, 100% Hand Painted by Professional Artist (*Not a print, not a poster, not a transfer of Canvas).. Condition: Brand New, High Quality, Unframed/ Unstretched. Rolled and shipped in protective tube.. Guarantee: 30 days money back guarantee, buy with confidence!. Availability: In Stock, handling time 2 businessdays plus about 10-15 days EMS (Express Mail Service) delivery, so the package usually arrives to your door in about. Each piece is custom made. Actual painting may be slightly different from the product image. Global Gallery creates 100% hand-painted oil painting on canvas, not a print, poster, canvas transfer or mass product. We are in business for more than 8 years and have exported a large amount of oil painting all over the world. On our online art store, we are exhibiting thousands of fine art of contemporary for you to select. You can easily place an order online if you want your selected painting to decorate your space. We offer 30-Day 100% Satisfaction Guaranteed, Buy with Confidence! If item arrives damaged or defective, or if it is not as described, or if for any other reason you are not completely satisfied with your purchase, simply return it within 14 days and we will give you all of your money back (not including the shipping charge), You only pay for the return postage. There is no restocking fee.